This is a great summer salad. 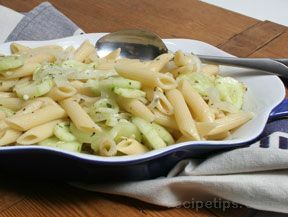 It has the flavors of the traditional cucumber and onion salad but the addition of the pasta mellows the overall taste and makes it irresistible. Enjoy this recipe with your favorite grilled pork or chicken recipe. Cook pasta according to the package directions. Drain, rinse with cold water and allow to completely drain again. Place in a large bowl. 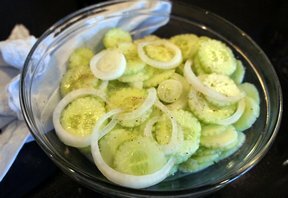 Stir in the oil, cucumbers and onion. Mix together the remaining ingredients and then pour them over the pasta. Toss to combine. Cover and place in the refrigerator at least 4 hours for the flavors to combine. 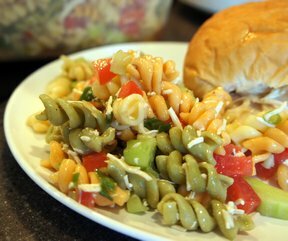 "This recipe is a hit at every cookout! I only use 1/2 the sugar and apple cider vinegar instead of regular..this is just how I received the recipe from the start. The key is definitely slicing everything thin. Love this!!!"